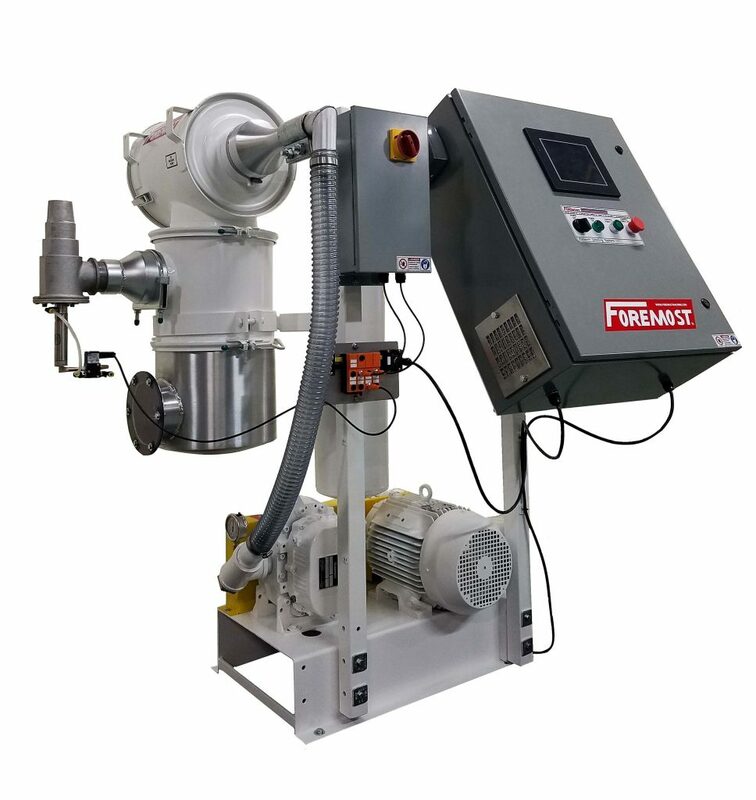 Central Vacuum Systems – Foremost Machine Builders, Inc.
You can count on Foremost for a complete range of chemical processing equipment for making calcium carbonate and titanium dioxide. Together, our plant design team and proprietary CAD tools let us create a chemical processing solution that is cost effective, productive, and reliable. Pneumatic conveying receivers, from 0.2 to 8 cu.ft. capacity, offer single or proportional material inlets. Choose filterless, blowback, or pulse-jet filtration with filter media down to 1 micron. Control by timer, endpoint level, or weight setpoint for optimal performance. Plastic processors look to Foremost for practical solutions to their material handling needs — and for more than forty years we’ve come through with cost-effective solutions. When high production is your goal, Foremost can provide you with central vacuum systems. Our vacuum systems are available from 5 HP to 100 HP and up 27 stations. Our easy to clean central filter assembly eliminates the need for blow-back and a sightglass on the filter assembly lets the operator know the filter needs cleaning.